Welcome to the dental practice of Dr. Craig Longenecker, DDS. At Hereford Dental Health – Craig Longenecker DDS, we provide comprehensive full service dentistry for patients in Monkton and surrounding communities. Our understanding team of skilled hygienists, dental assistants, and administrative staff help Dr. Longenecker exceed our patients’ expectations. At Hereford Dental Health – Craig Longenecker DDS, we understand the value of a healthy and beautiful smile. We are enthusiastic about providing each patient with personalized care in our state-of-the-art dental practice. Hereford Dental Health – Craig Longenecker DDS is located at 16928 York Rd in Monkton. For more information about our team, see https://www.hereforddentalhealth.com/meet-dr-longenecker/. If you were blessed with a pleasing smile, we can help you keep it that way with professional deep cleanings and thorough examinations. We set the standard for preventative family dentistry in the greater Parkton area. If you were not blessed with a gorgeous smile, let’s explore how we can improve it. 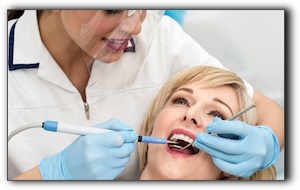 Modern cosmetic dentistry provides a remedy for virtually every aesthetic trouble. If it has been a while since you have received a professional dental cleaning, call 443-672-2548 today to schedule a cleaning with one of our experienced hygienists. Your teeth will feel amazingly clean, silky, and smooth after the chalky plague and calculus is removed. Whether you need an examination or a complex full mouth reconstruction, at Hereford Dental Health – Craig Longenecker DDS we’ll get you smiling again!